Brompton Design District is celebrating its tenth birthday in style this year with bespoke designer-made cocktails. 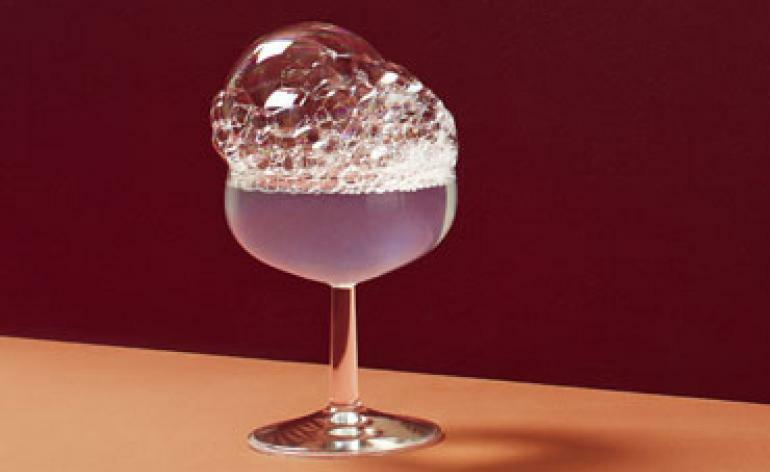 Inspired by the controversial ’Brompton cocktail’ (a heady mix of alcoholic spirits, morphine and cocaine), a star-studded list of designers – including Max Lamb, Peter Marigold, Tomás Alonso and Faye Toogood – have been invited to realise conceptual or real beverages. From tipples for foragers to placebo drinks for the mind, the creative mix will be presented in an installation by food designers Arabeschi di Latte, and will be accompanied by a recipe book. Tord Boontje is bringing together a supercharged group of designers at his London studio for an exhibition that celebrates ’the craft of electronics and electronics made as craft.’ The heavy-hitting line-up includes the likes of Industrial Facility, Bethan Laura Wood, Simon Hasan, Studio Drift, Front, Paul Cocksedge, Raw-Edges and more. Following its debut last year, the Bankside Design District is taking a typographic turn for its second edition with plenty of exhibitions, interactive installations and workshops for type lovers to explore between Borough Market and Oxo Tower Wharf. Delve into the personality of fonts through a wine tasting, or take in an installation of ’living’ letters by florists All for Love. Elsewhere, graphic artist Camille Walala transforms a pedestrian crossing in her bold, signature style, while Contemporary Applied Arts hosts a ceramics exhibit. 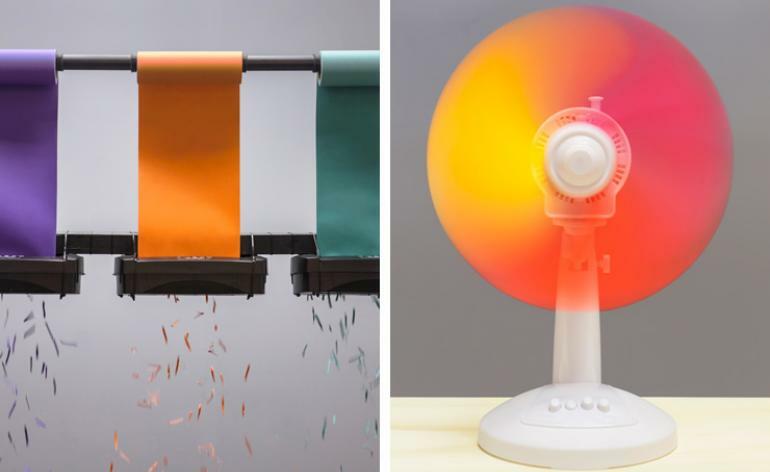 The Eindhoven-based interdisciplinary design studio Raw Color is staging a Technicolor takeover of Aram Gallery. Supported by the Creative Industries Fund NL, ’Blend’ pays homage to Vincent van Gogh by way of paper-shredders, and also includes a choreographed troupe of fans to show how colour can be blended by motion. Up to three people will fit onto Studio Myerscough’s kinetic swing installation at once, but that won’t be the only reason the graphic display will catch the eye of passers-by as they transverse the tranquil lobby of The Bulgari Hotel. Combining product with motion, and creating powerful statements in the process, the swing will also act as a prelude to ’Designer Maker User’, a new permanent exhibition created for London’s forthcoming Design Museum which will open its doors in late November. 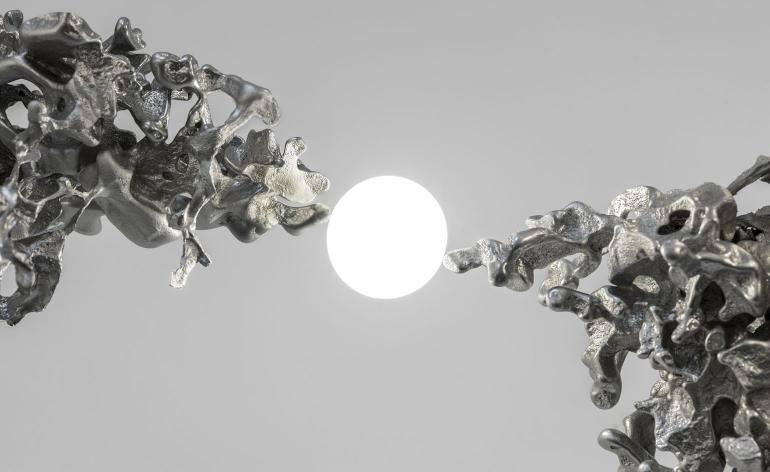 Omer Arbel has been commissioned by the Barbican Centre to create a site-specific installation for the Foyer’s Lightwell. Named ’44’, the chandelier is made of 300 free-poured aluminium forms, which were created with a specialised technique and suspended through a network of thin cables. Hot on the heels of its successful Clerkenwell Design Week debut, design superstore Clerkenwell London returns with a bigger, better and ever more innovative edition of ’Design Undefined’. 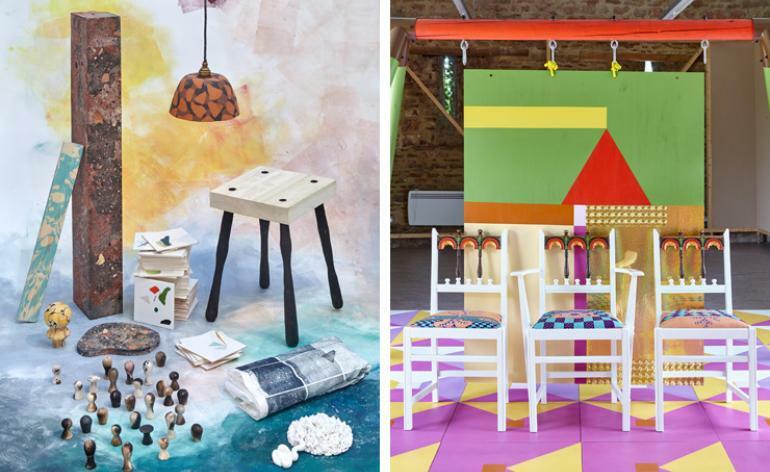 Questioning the way we think about design in practice, the names taking over dedicated exhibition spaces include Turner Prize winners Assemble and their Granby Workshop project, upcycler Yinka Ilori and queen of colour and pattern Camille Walala among others. 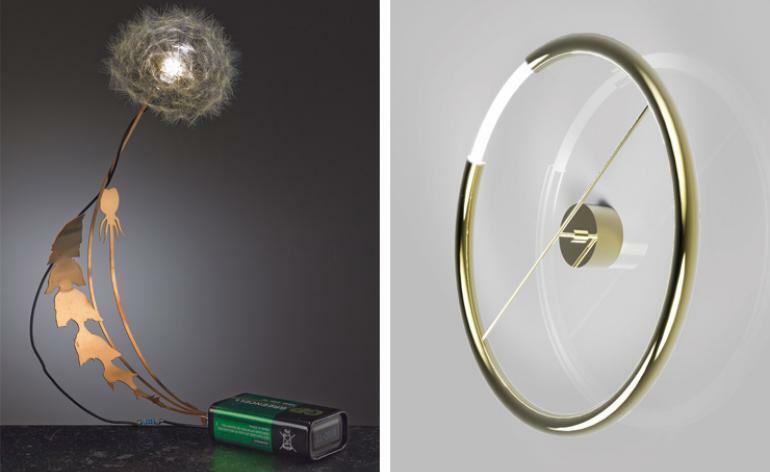 Marking their tenth edition, Tent London and Super Brands London will this year come under the umbrella brand of the London Design Fair. As the first guest country, India will present ten designers and brands from the subcontinent, spanning product, textile, furniture design and beyond. 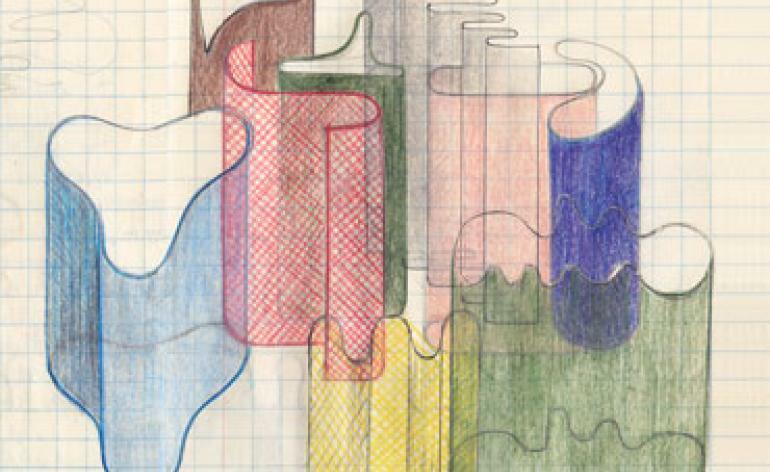 Curated by Spandana Gopal of Tiipoi with exhibition design by Kangan Arora, expect bright colours, jagged geometries and delightful abstraction. 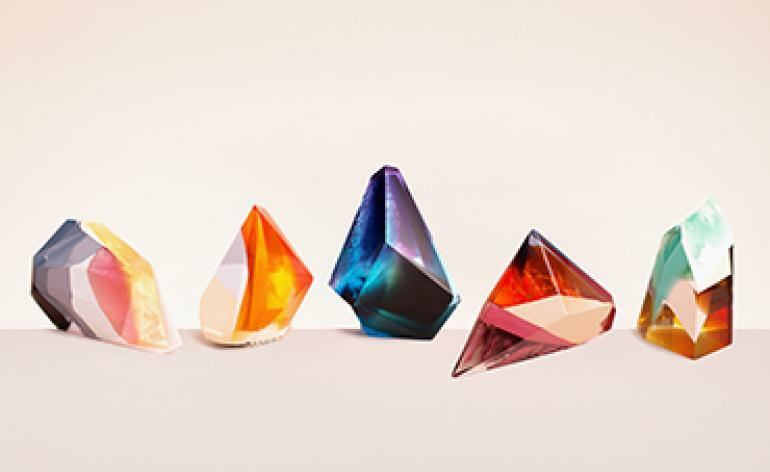 Adding their intrinsic sparkle to proceedings, Swarovski’s crystals take shape under the experimental yet rigorous eye of design duo Fredrikson Stallard. 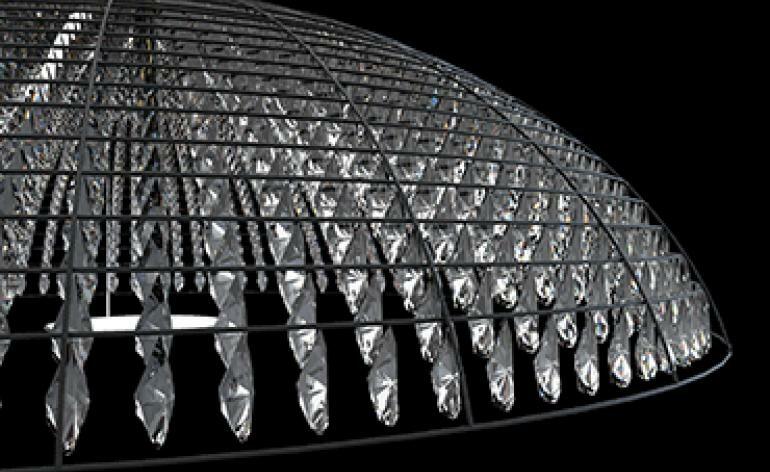 New chandeliers will light up the Austrian brand’s gallery space using bespoke crystal components. 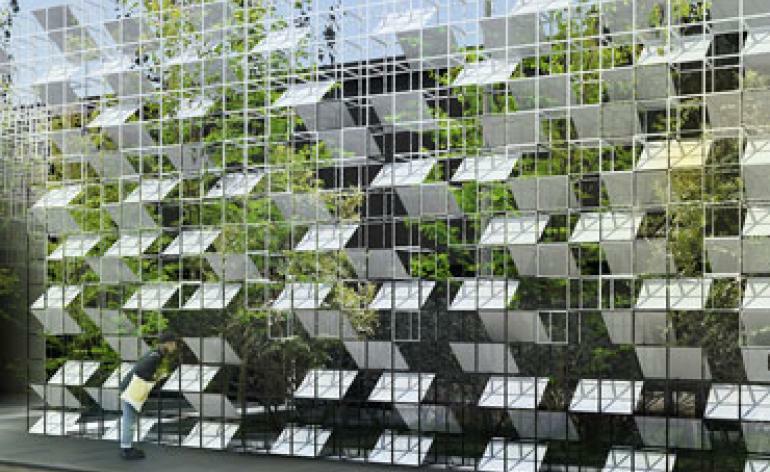 Making their UK debut will also be the Glaciarium pieces for Atelier Swarovski Home. 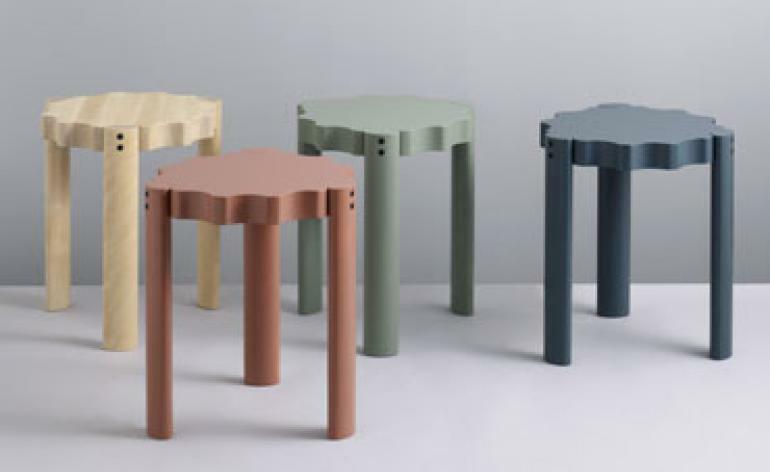 Manufacturers from the northern Italian location of Trentino are getting a moment in the limelight at London Design Fair. In a new project they have teamed up with British designers Max Lamb, Sebastian Cox, Lucy Kurrein and Giles Miller to produce innovative pieces that use the local materials and techniques. 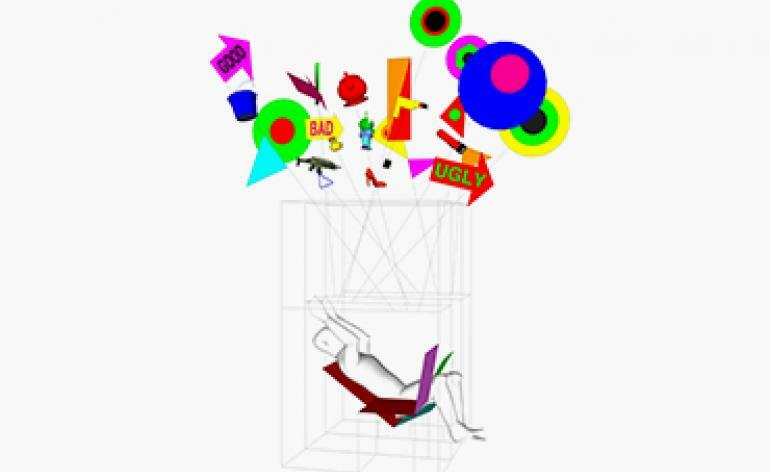 Crowds will enter into the British designer’s hypnotic vision this year with an optical illusion showcase at the East London studio. 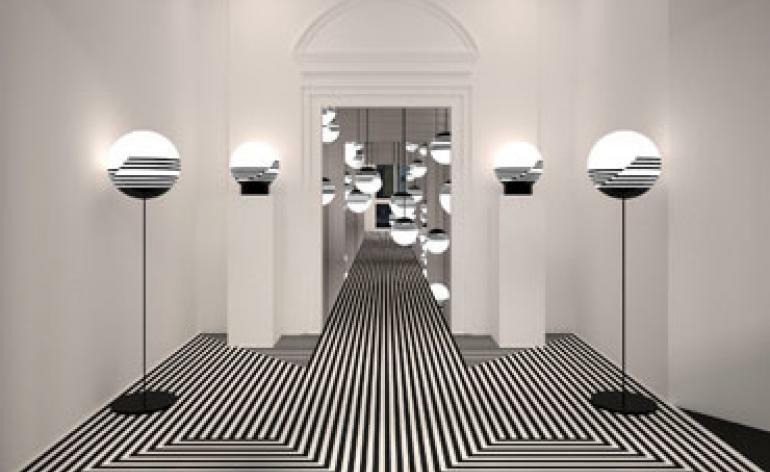 The enveloping installation celebrates the launch of Broom’s graphic ’Optical’ lighting collection that is inspired by the postmodern op art style and will feature alongside floor to ceiling mirrors and an abstract monochrome floor. The Shoreditch hub is gearing up for its second collection of design hotel essentials. 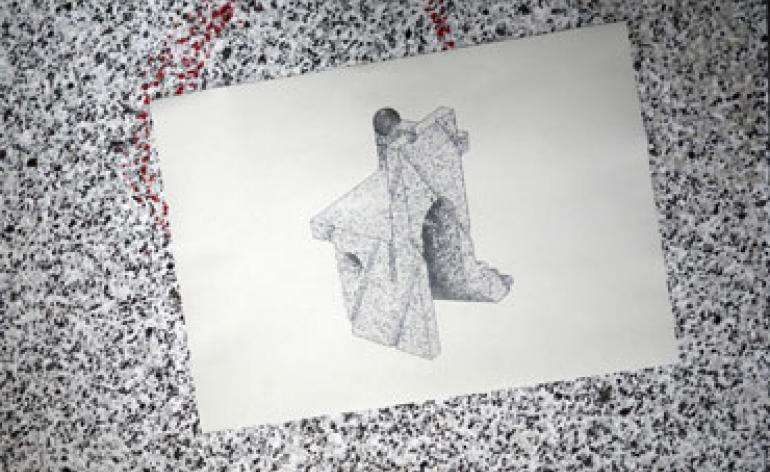 Curated by Laura Houseley, this year’s project invites six new products to be injected around the hotel’s interior. 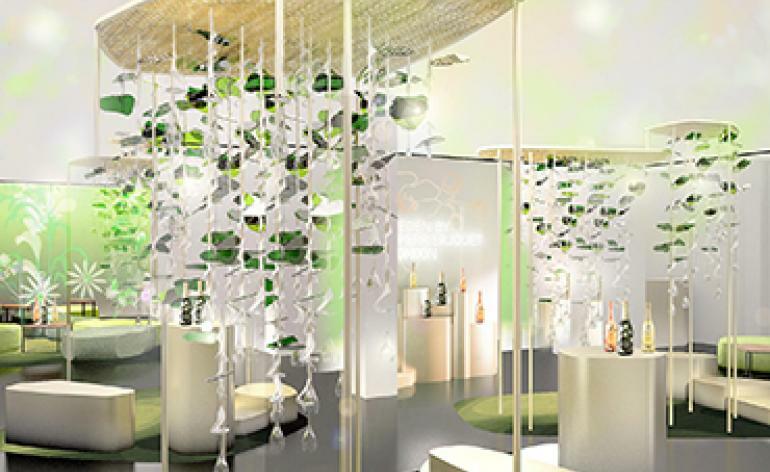 Highlights include cocktail tumblers by Jochen Holz, and bar cladding and ceramics by Turner Prize winner Assemble. 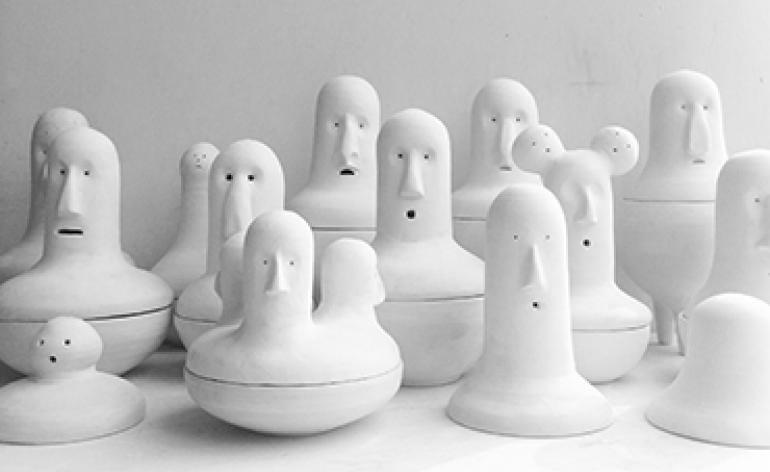 Norway’s annual celebration of modern design returns to the Truman Brewery with a host of 17 designers. 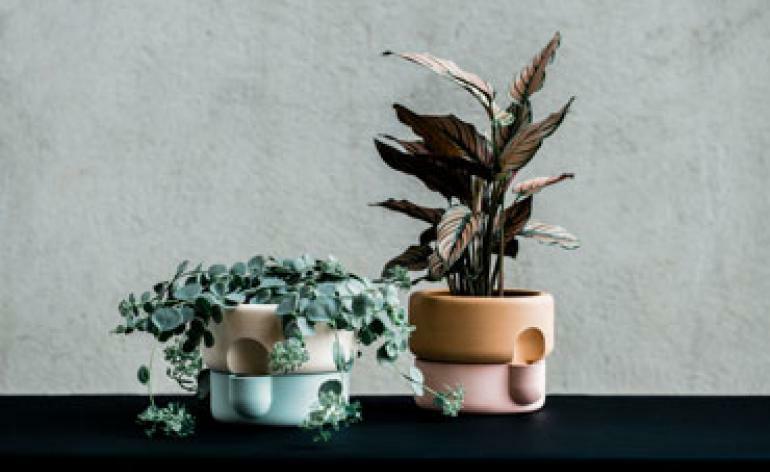 Curated by Max Fraser, products include self-watering stoneware by Ann Kristin Einarsen (pictured), architectural lights by new brand Høgh, and wicker stools by Vera & Kyte. Artist Zuza Mengham imagines what scent looks like, working with Laboratory Perfumes to create a series of sculptures inspired by smells. The artist created five pieces each inspired by a different scent from Laboratory Perfumes, using resin to portray the sensorial qualities through striking visual effects. The latest design district to join London’s creative map, King’s Cross will host designjunction, with installations around Granary Square and a series of commercial and creative projects around the different buildings and spaces of the area’s new developments. The London-based designers present a new collection of curtains for the Danish textile giant, with an imaginative installation at their showroom to celebrate the launch. The pair have combined textured and perforated fabrics to create a play of light and shapes, colours and shadows. The aptly titled installation by London architect Alison Brooks takes the form of a minimal smile, produced in collaboration with American Hardwood Export Council and Arup. 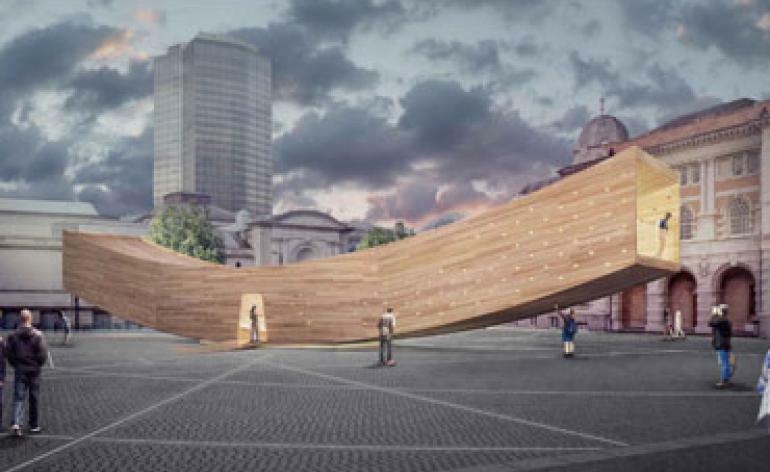 With her cross-laminated wood installation, the walkable structure will offer visitors a new perspective on the city. 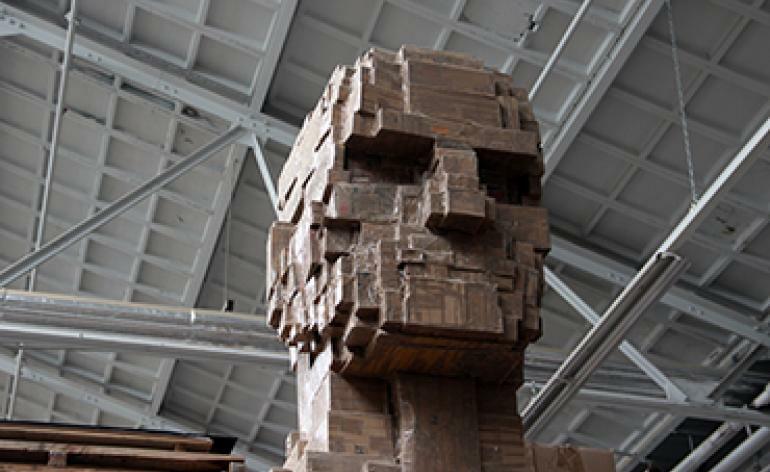 SCP founder Sheridan Coakley collaborated with Piet Hein Eek on the Dutch designer’s first retrospective. 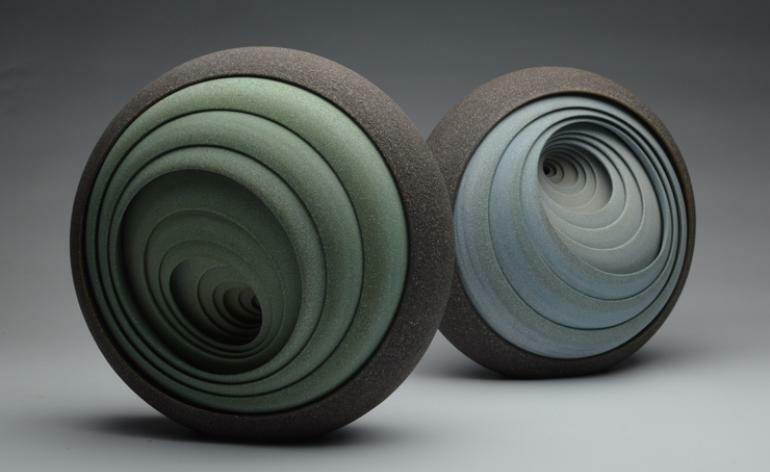 The exhibition features new works from 2016 and a selection of pieces from the designer’s archive, with a special focus on porcelain objects. The display is constructed around the theme of ’past and future icons,’ with Eek exploring the concept of design icons in a broader context. A creative hub in the heart of the city, L’Eden features the work of French designer Noé Duchaufour-Lawrance, who created a suspended installation of glass, perspex and brass inspired by the Champagne house. In the space, Bompas & Parr will also offer their take on a bio-responsive garden, where plants will react to visitors’ movements. 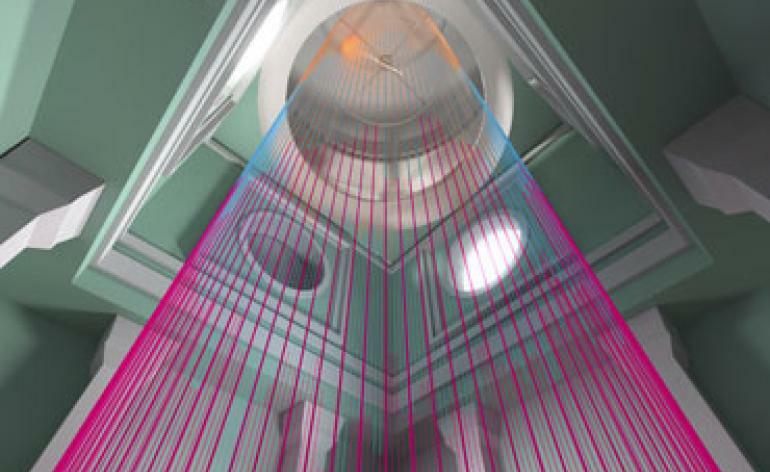 This year’s landmark installations include ’The Green Room’ (pictured) by artistic duo Studio Glithero, a sculpture made of colourful strings, which will redefine a stairwell in the museum creating an optical effect. Other projects featured in the museum will be ’Foil’ by Benjamin Hubert’s studio Layer, a 20m long, undulated metal ribbon which will cast shadows and lights in one of the galleries, and French designer Mathieu Lehanneur’s ’Liquid Marble’ installation.